This spring is all about be different and unique from clothing to beauty. There are plenty of trends to follow and give your own spin to it. Instagram gurus are the best source to get inspired and create different looks of your own. We have put together a short list of the biggest and some interesting beauty trends for Spring this 2018. Forget winged liner, Tom Ford has create a new look for liners and its the thumb liner, a small smudge in the outer corner of your eye. You can creative and use different tones and shimmers to make it pop. It looks like you have put a lot of effort into it and it literally only takes 2 minutes. Apart from this, going back to getting inspired but Instagramer beauty gurus and influencers. There is a trend that seems to going round the social media platforms with liner. No one wants to stick to the boring regular liner and now are creating shapes and waves with their eye shape. Below is a fantastic example of this with beauty guru Teisha. She is constantly creating very different looks with liner and it just works! Giorgio Armani left us wanting more with the grunge vibe on his runway for this Spring/Summer season. 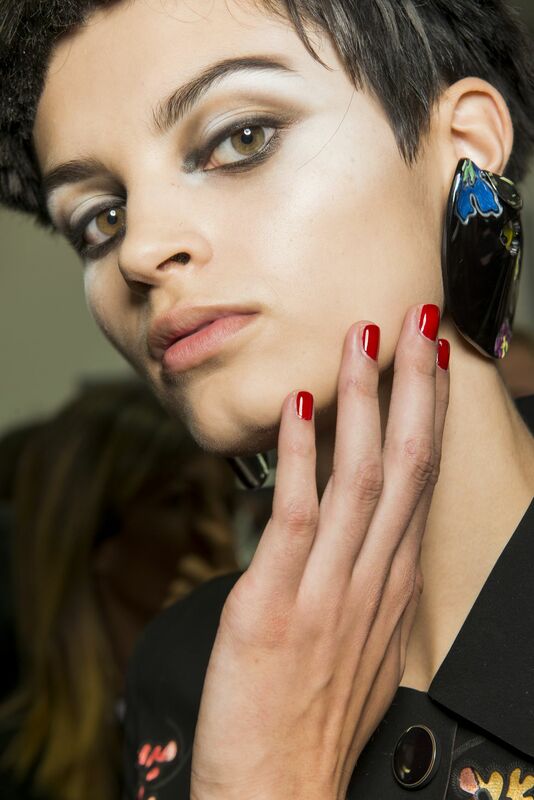 Black smudgy eyes and cherry red nails and totally in! Another trend that has come back is being super girly and pinky blushed cheeks. Sometimes less is really more and this sun kissed pinky look is perfect for this season paired with a flow-y loose dress. I'm loving this look for those summer nights on the beach with a cocktail. This screams dressed up but still classy and laid back. Perfect dressed up, easy look.